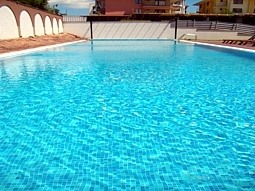 paid till end of January! 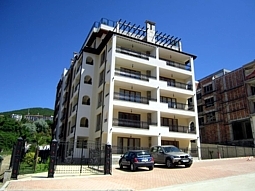 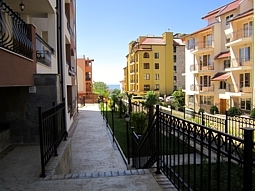 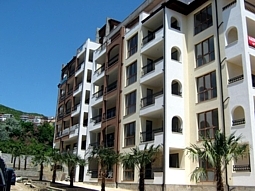 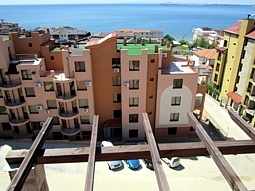 Self-catering luxurious apartment in the beautiful beach complex "Marina Park" in Saint Vlas resort. 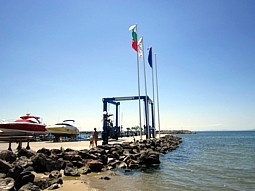 The complex is located only few minutes walking from the beach and from the famous harbor Marina Dinevi, that has become an attraction with its various entertainments. 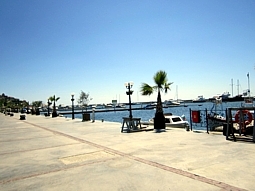 The complex Marina Park is luxurious finished and comfortably furnished to satisfy all whims that one beach vacations may require. 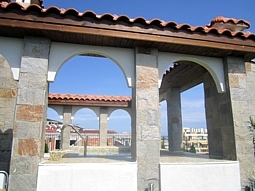 The complex has a large landscaped garden, secured with a beautiful fence, so you can safely leave your children playing while you are sunbathing around the pool or having an exotic cocktail on the shade. 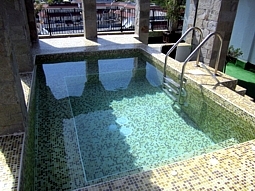 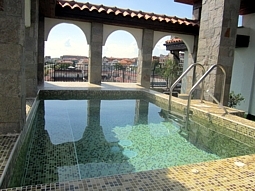 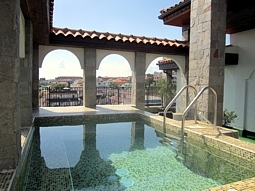 The swimming pool is well maintained and has sun-beds and umbrellas that are available for all guests. 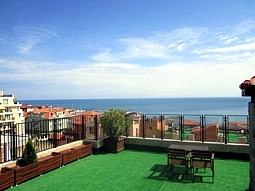 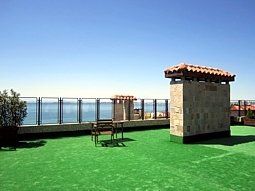 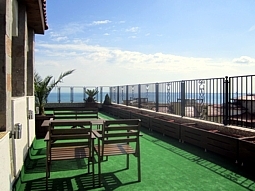 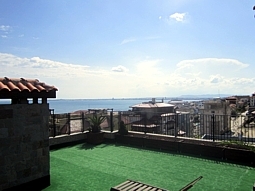 The roof top of the complex is turned into a very beautiful Mediterranean-style terrace with amazing view to the sea, to the beach and the famous beach resorts - Sunny Beach and Nessebar. 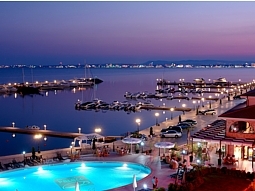 Night view can take your breath away. 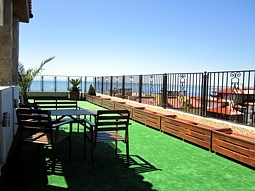 On the terrace there is a Jacuzzi pool, lounge chairs, umbrellas and tables where you can have a coffee or cocktails. 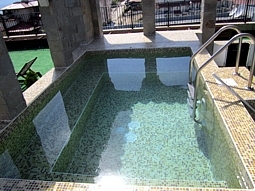 Evening spent with your loved one with a glass of cold wine in hand, in the warm Jacuzzi will be able to enjoy the amazing sunset and create unforgettable memories of a wonderful holiday. 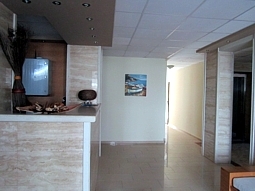 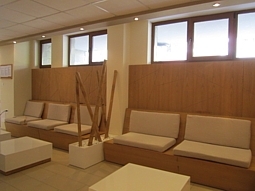 The complex has a beautifully decorated hall with reception, comfortable sofa with free Internet and cable TV. 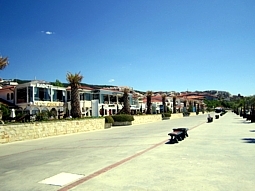 The surrounding area is abundant of many small shops, a large supermarket; pizza bars, restaurants, cafes, casino and medical center. 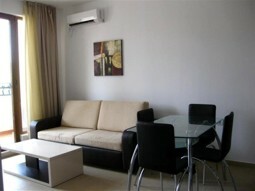 The apartment is luxurious and fully furnished with everything you may need for your vacation. 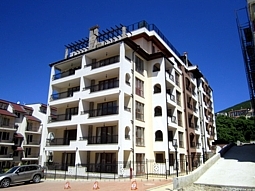 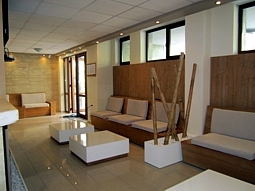 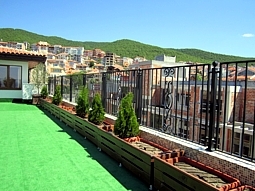 The apartment is situated on the fourth floor and the complex is served by lift. 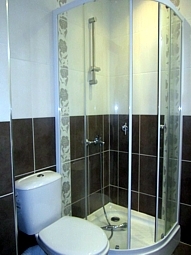 The flat consist of one bedroom with double bed, wardrobe, safe, ironing board, iron and clothes dryer. 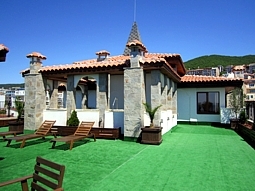 Additionally there is a spacious living room with comfortable sofa-bed where two more people can sleep, coffee table, Cable TV and WiFi internet. 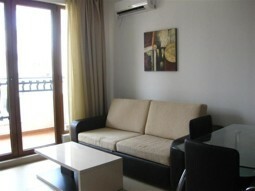 Air conditioning in the living room. 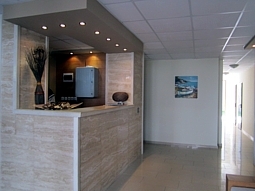 An advantage is the small, but well equipped kitchen – two hot plates, oven, fridge with a freezer, kettle, coffee maker, toaster and all necessary utensils for eating and serving food. 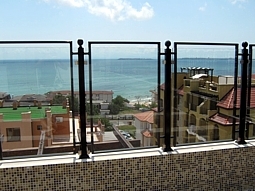 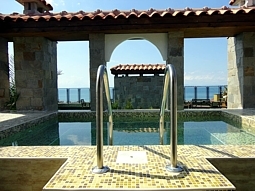 Each room has a balcony with a partial view to the sea and beautiful view to the pool. 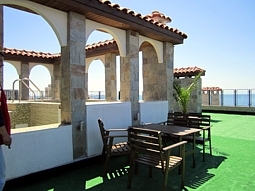 The main balcony is equipped with plastic table and chairs for your morning coffee or evening cocktail. 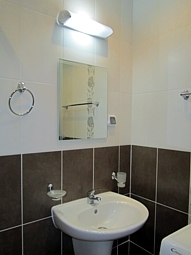 Luxurious bathroom with shower, wash-basin and toilet. 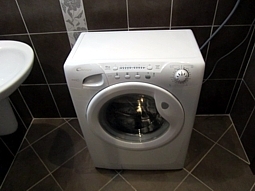 Washing machine is also available in the apartment. 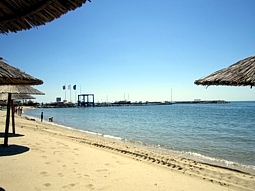 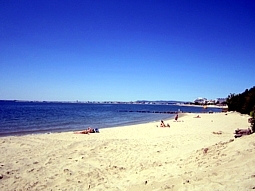 The beach is perfect, wide with incredibly soft and fine sand, calm sea suitable for swimming and good for small kids. 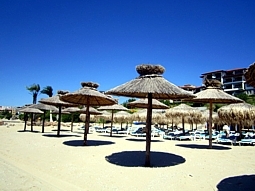 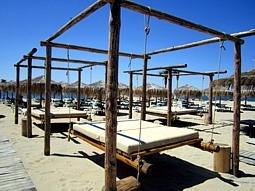 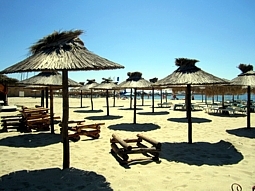 There is paid area with sun-bed and umbrellas with comfortable cushions, but there is also a free of charge area, where you can go with your own beach towels and umbrella. 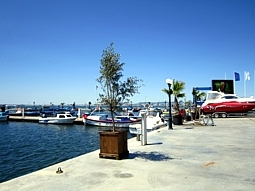 There are many shops and restaurants where you can have lunch or dinner. 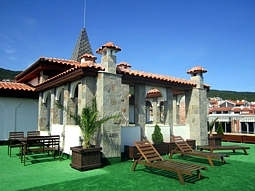 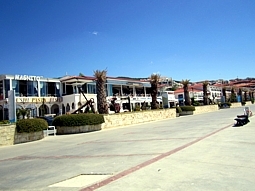 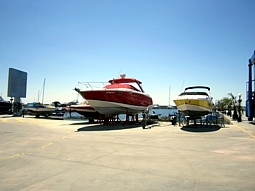 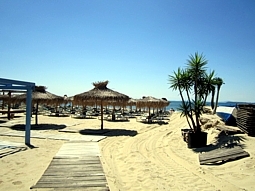 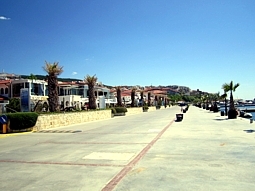 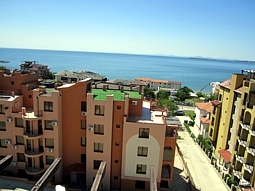 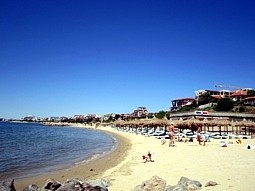 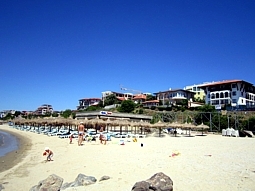 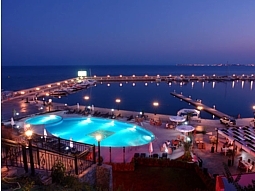 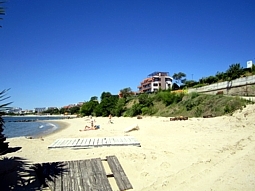 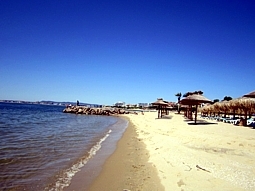 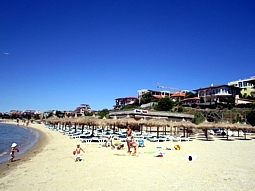 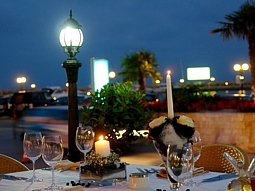 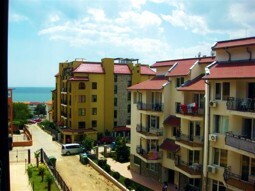 Saint Vlas resort is situated on the Black Sea coast and the foothills of the southern slopes of the Balkan Mountains. 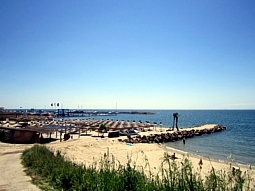 The town is located only 35 km from the International Bourgas air-port; the ancient town of Nessebar is only 8 km away; Sunny Beach resort is only 3 km away. 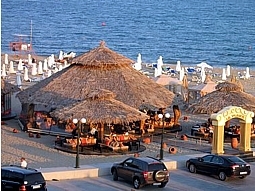 Vlas is a quiet resort, but its proximity to Sunny Beach Resort allows you to experience unforgettable emotions of summer nightlife as well. 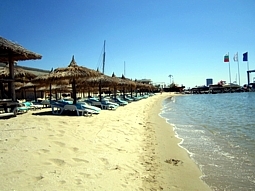 This makes it a suitable place for holidaying of families with children and for people who want both – calm beach holiday with visiting clubs and discos in the neighboring resort. 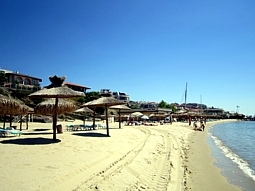 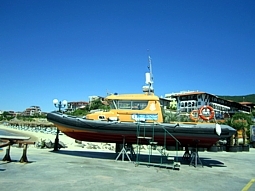 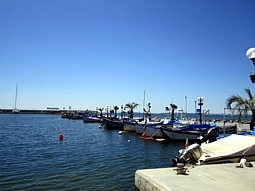 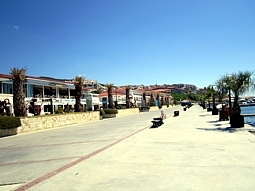 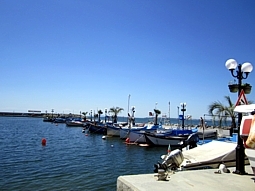 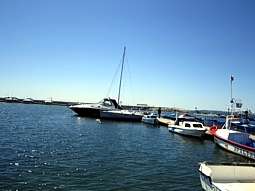 - Nessebar - 8 km. 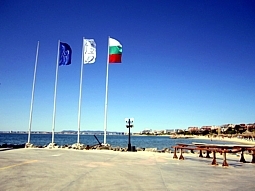 - Burgas - 35 km. 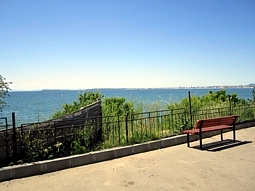 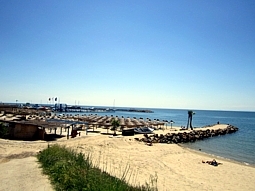 - Varna - 75 km. 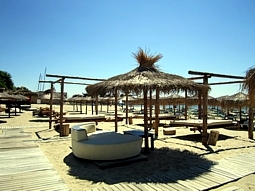 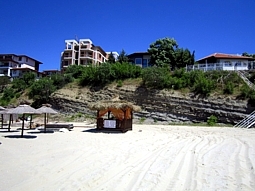 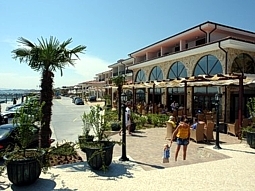 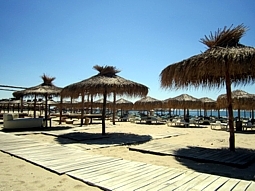 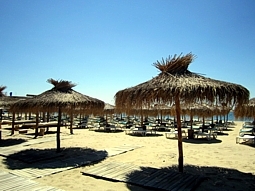 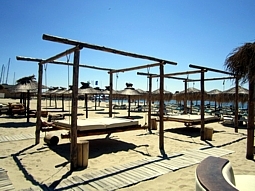 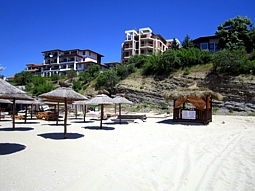 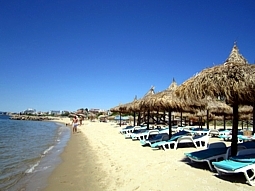 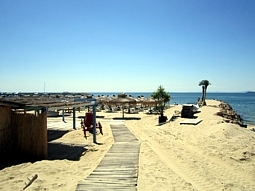 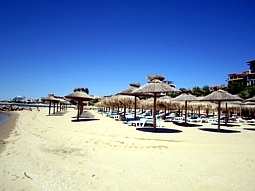 Sveti Vlas - a great place for a holiday, combining sea, mountains and cool climate. 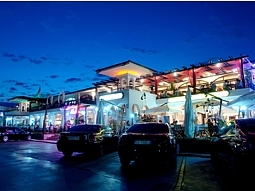 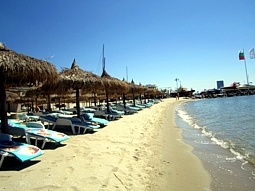 Sveti Vlas, Sunny Beach and Nessebar together form the largest summer tourist megapolis in Bulgaria where all types of entertainment and services are available, and each flavor is taken into account.